367 results. Displaying results 41 - 60. 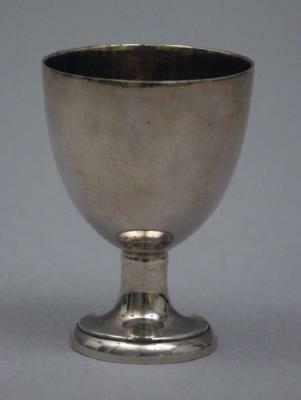 Womens Amateur Rowing Association miniature silver cup presented to Amy Gentry for senior sculls in 1935. 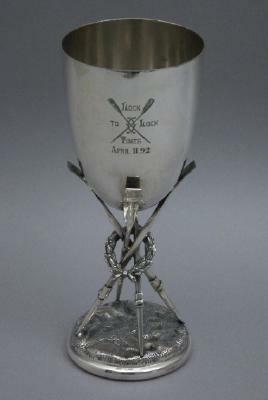 A silver plated trophy, with a miniature swan in the centre, for the Kingston Scratch Eights, August 18th 1877. Comemorating the Kingston on Thames Amateur Regatta Scratch Eights on August 18 1877. 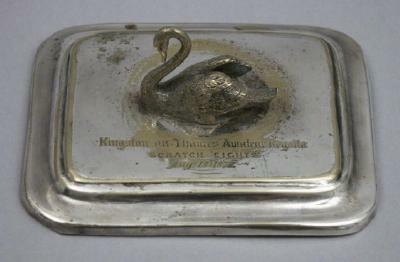 Rectangular silver plated lid, the only decoration is a miniature swan in the centre. 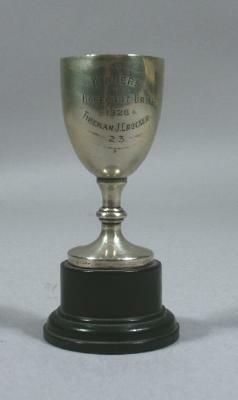 Pewter tankard trophy for the Barnard Fours Rowing Club, 1931. Won by JWR Baker. Made by Civic Pewter. 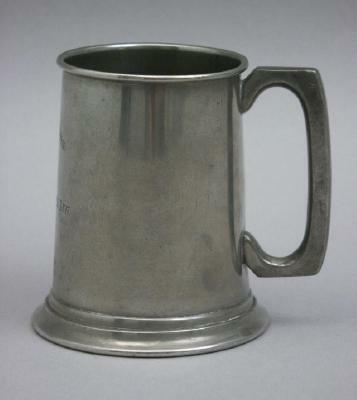 Pewter tankard with one handle. Inscription is opposite the handle. Makers stamp on the bottom. 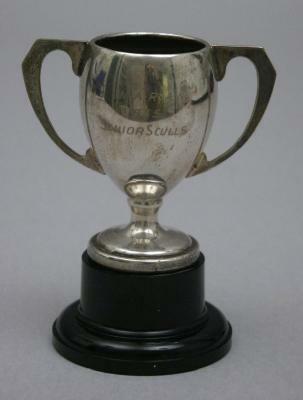 Alexandra Rowing Club Junior Sculls cup won by T. Goddard, June 1869. Part of the Thomas E. Weil Collection. Thomas E Weil is a very knowledgeable and respected collector of rowing memorabilia from all over the world. His extensive collection includes material from many years of the Oxford and Cambridge University Boat Race, and Henley Royal Regatta. He also lectures and writes on rowing history and is a Trustee of the River and Rowing Museum. E.E.R.C. 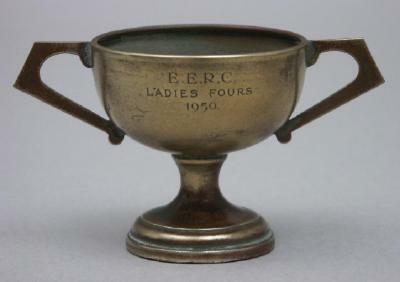 Ladies Fours miniature bronze cup presented to Amy Gentry in 1950. 1953 Desborough medal in a blue leather case. 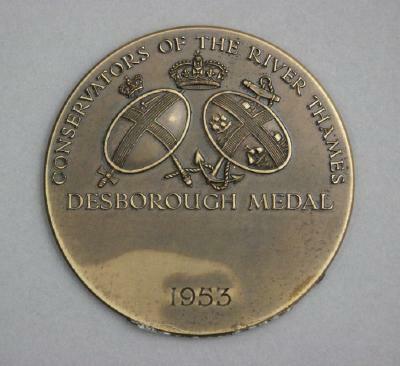 Bronze medal with Thames Conservancy insignia on one side with lettering "Conservators of the River Thames Desborough Medal" and engraved "1953" and on the other side is a shield, crown and ribbon with text relating to Lord Desborough. Blue leather case with gold lettering "The Desborough Medal 1953"
Lock to Lock Times silver trophy. Dated April 11th, thought to be 1892. Assumed to have been won by Charles Harding. Silver plate crumber with bone handle inscribed "A.R.C. 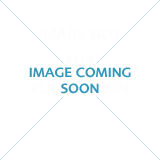 Spring Eights P.B. Pattenden Bow." Part of the Thomas E. Weil Collection. Thomas E. Weil is a very knowledgeable and respected collector of rowing memorabilia from all over the world. His extensive collection includes material from many years of the Oxford and Cambridge University Boat Race, and Henley Royal Regatta. He also lectures and writes on rowing history and is a Trustee of the River and Rowing Museum. Winners Horsecart Drill 1928 Fireman J Crocker 23 A small silver gilt cup awarded to John Crocker, member of the Henley on Thames Fire Brigade and Oxfordshire Fire Service from 1919 to 1948.